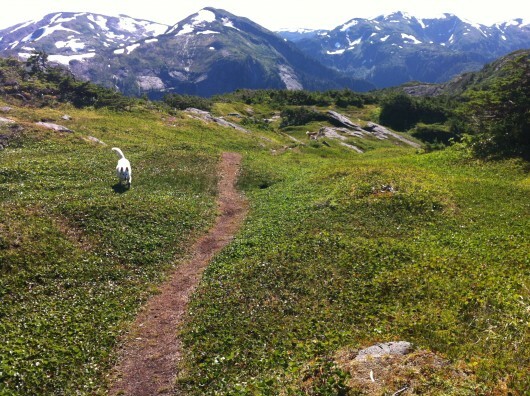 A temporary order that established a trapping setback for Ketchikan-area trails has been rescinded by Tongass Forest Supervisor Earl Stewart. An announcement Thursday from the U.S. Forest Service states that the temporary order was put in place in May of 2014. That order prohibited trapping within 150 feet of trails and campgrounds along Ketchikan’s road system. Forest Service spokesman Paul Robbins Jr. said regulating trapping is not the Forest Service’s responsibility. Last month, the Forest Service hosted a public meeting to get input on the trapping setback. Ketchikan-Misty Fiords Ranger District Developed Recreation Manager Brad Schumaker said hikers and trappers attended that meeting. Alaska Department of Fish and Game officials also were there. They talked about three options. One was to leave the setback in place, one was to rescind it and a third was a compromise. Jon Hyde is the ranger district’s fish and wildlife, watershed and botany staff officer. Schumaker said Stewart chose to rescind the order completely and refer the matter back to the state. Schumaker said that follows national Forest Service policy of leaving fish and game regulations in the hands of state agencies. That decision means there are no federal regulations limiting trapping anywhere on the Ketchikan road system, including at the Ward Lake recreational area and campgrounds. The Alaska Department of Fish and Game’s trapping regulations booklet does not include any setbacks for trails or recreational areas. The booklet recommends minimizing conflict with other users, though, and not trapping near homes or trails. The Forest Service news release recommends that hikers be aware of their surroundings when hiking, and keep children on the trails. It also reminds dog owners that dogs must be on a maximum 6-foot leash in developed recreation areas and on interpretive trails. For Ketchikan, that includes campgrounds and the Ward Lake Trail.